Coming back to @PostOffice #Savings? The #east-west comparative. 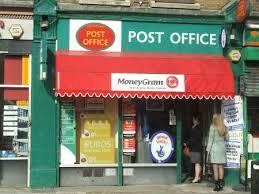 Abstract: Post offices, inherited from the Industrial Revolution, were monolithic telephone and postal administrations. They were intimately linked to the fabric of nations and made significant contributions to state finances. From the 1960s onwards, integrators, such as UPS and FEDEX, started offering end-to-end express services, thus challenging the postal monopoly in new high added value services. Gradually, the liberalization paradigm gained ground. Telecommunications and sometimes financial services were spun off from postal operations. More recently, new policies and priorities started to emerge especially on the development agenda where financial inclusion has become a top priority in the developing world. The question to be addressed is which role, if any, the posts play or could play in ensuring inclusion. Despite an exceptionally scarce research in the field, this paper provides an overview of how these shifts in paradigm have affected postal policy, the postal financial services regulatory framework, the status of the organizations delivering those services and the offerings themselves in developing as well as in developed countries. After a research review, including the regulatory dimension, the paper focuses on how postal financial services institutions in their legal framework have developed bringing to the fore a panorama of a dozen of promising transformations of financial postal services in developing countries. This paper by d’Alcantara, Dembinski and Pilley was circulated byNEP-HIS on 2014-09-12. The approach is unique in the sense that it seeks to compare the nature of Post Offices in Europe and the developing world, focusing primarily on their role in the savings movement. Its historical approach shows how the western Post Offices developed as a movement that sought to encourage thrift among a profligate working class, whereas in the developing world, the development of a Postal Savings movement was more in line with the growing financial markets across these nations, and the desire for individual customers to express choice in their banking processes. Moreover, it effectively shows how, following a crisis in trust experienced in the banking industry, more people across both the developed and developing world are turning to the government-backed Post Office as a safe haven for their savings in response to the perceived dangers of investing in private banks. 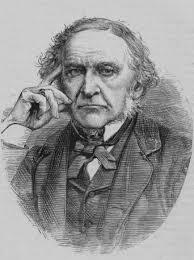 Citing the latter nineteenth century as the beginning of the Post Office savings movement, with British Prime Minister William Gladstone’s initiative to open a Post Office Savings Bank, this paper demonstrates that the influence of the government over consumer spending has long roots. The authors deftly show that certainly in its embryonic stages, the Post Office savings movement in developed countries focused on the provision of a secure place for working-class savings, while also encouraging thrift. Building on the lack of trust displayed by the working-class towards other alternatives, such as friendly societies, and their exclusion from private sector banks, the savings option offered by Post Offices had fertile ground on which it could flourish. The paper also documents the differences between the supervisory natures of the Post Office Savings activities in developing countries, comparing them to that in the developed world. Citing the Asian and Latin American examples, the authors show that the levels of government control over the activities of postal savings banks were significantly more than that in the developed world, with the respective central banks exerting a supervisory role over postal and financial affairs. In the developed world, following with the liberalisation of financial services, the level of central government control over deposits made in postal savings banks has significantly diminished, with initiatives to delegate the administration of post office banking activity to private banks. Although responsibility is still being underwritten by central government (with Bank of Ireland UK as the example for postal savings in the UK) the level of micro-management previously present has now diminished. d’Alcantara, Dembinski and Pilley also document the necessity of a world legal framework and understanding to evolve with the growing influence of the postal savings movement, especially in the developed world. Citing the aim for legal and financial autonomy to be awarded to postal savings institutions as part of the United Nations millennium goals, it effectively demonstrates the challenges that both the developed and the developing world face in terms of striking the right balance to facilitate the effective supervision of the financial system at a time when the role of private investment banks have been criticised for their excessive risk taking. While many countries in the west still pride themselves on liberal nature of their governments and markets, the definition of this is likely to change in the name of ensuring proportionality and responsibility concerning financial affairs in an age when consumer confidence in private banks is at an all-time low. While seeking to emphasise the differences between the postal savings movement in the developed and developing world, this paper also draws on examples of convergence. In the period after the 2008 world financial crisis, there has been evidence that consumers, once more, have come back to the government-backed Post Office savings banks in response to not only their anger about the actions of private banks, but also the perception that government-backed savings institutions are safer in terms of securing deposits during periods of financial crisis. For example, in 2008, much resentment was created in the UK when the government bailed out banks deemed “too big to fail”, costing the taxpayer billions of pounds. While such action ensured that the deposits of savers were guaranteed, many responded angrily that taxpayer’s money was being used to save banks that had shown financial irresponsibility on such a grand scale. The paper ends on an optimistic note for the savings movement in Asia, with particular reference to China. 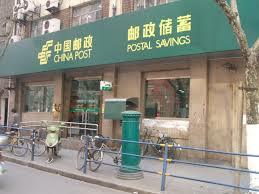 In noting that the Chinese Postal Savings Bank is the fourth largest in China, with its customer base expanding beyond the traditional labouring classes to include students and businesspeople, the authors argue that this has been a triumph for the postal savings movement in the world’s most populous country. While it is worth noting that the level of central government control over all banks in China is possibly significantly more than in any other developed nation, it is a point well made that in a country with a flourishing middle class population, it is the postal savings movement that seems to be gaining the biggest traction. d’Alcantara, Dembinski and Pilley covered a huge chronological and geographical period in their analysis, and have effectively compared the nature of the postal savings movement in the developed and developing world. Perhaps an area that could be explored further is the western government’s ideas of financial liberalisation as a principle that stops short of a full-scale privatisation of Post Office counters (which include financial services)? For example, Margaret Thatcher, despite pursuing a very ambitious privatisation programme in the 1980s, stopped short of privatising Post Office counters, despite taking steps to remove the ‘Giro’ from government control. 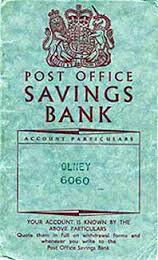 Deeming the issue to be too much of a political hot potato, Thatcher left financial services at the Post Office largely untouched, encouraging only the intervention of private banks to compete for the option of underwriting (with the support of government) Post Office financial services. Today, both in the US and the UK, Post Office counters, and individual postmasters complain vehemently about their struggle for survival in the face of growing competition from private banks that now include the offers of financial services by supermarkets, and initiatives that have reduced the numerous functions of Post Office counters, including direct debit payments. Perhaps the question the authors could explore is why do western governments, while taking efforts to remove services from the Post Offices (such as bill payments) do not embark on a full scale privatisation, whereas in developing countries, where the extent of government control over the savings movement, including postal savings, is significantly stronger, the movement appears to be going from strength to strength? Booth, Alan and Mark Billings, ‘Techno-nationalism, the Post Office and the creation of Britain’s National Giro’ in B Bátiz-Lazo, J.C. Maixé-Altés and P. Thomes Technological Innovation in Retail Finance: International Historical Perspectives (Abingdon: Routledge, 2011). Campbell-Kelly, Martin, ‘Data Processing and Technological Change’ Technology and Culture, 39, 1 (Jan. 1998), pp. 1-32. Campbell Smith, Duncan, Masters of the Post: The Authorized History of Royal Mail (London: Penguin, 2011). Crowley, Mark J. Saving for the Nation: The Post Office and National Consumerism, c1860-1945’ in Erika Rappaport, Sandra Dawson and Mark J Crowley (eds. ), Consuming Behaviours: Identity, Politics and Pleasure in Twentieth Century Britain (forthcoming Bloomsbury, 2015). This entry was posted in Accounting History, Africa, Business & Management, Business history, China, Institutions, Money & Banking and tagged accounting history, Africa, China, post office, savings on 2014-10-21 by crowleymarkj. Abstract: This paper explores the role of state capacity in the comparative economic development of China and Japan. Before 1850, both nations were ruled by stable dictators who relied on bureaucrats to govern their domains. We hypothesize that agency problems increase with the geographical size of a domain. In a large domain, the ruler’s inability to closely monitor bureaucrats creates opportunities for the bureaucrats to exploit taxpayers. To prevent overexploitation, the ruler has to keep taxes low and government small. Our dynamic model shows that while economic expansion improves the ruler’s finances in a small domain, it could lead to lower tax revenues in a large domain as it exacerbates bureaucratic expropriation. To test these implications, we assemble comparable quantitative data from primary and secondary sources. We find that the state taxed less and provided fewer local public goods per capita in China than in Japan. Furthermore, while the Tokugawa shogunate’s tax revenue grew in tandem with demographic trends, Qing China underwent fiscal contraction after 1750 despite demographic expansion. We conjecture that a greater state capacity might have prepared Japan better for the transition from stagnation to growth. This paper was distributed by NEP-HIS on 2014-09-25 and 2014-10-03. In it Sng and Moriguchi ask why China – with its large population and high levels of technological prowess – was not the first country to industrialize. Existing studies of “divergence” have not explained differences in economic performance between China and Japan. Despite the similarities between the two economies in levels of proto-industrialization, political and legal structures, and living standards. Sng and Moriguchi argue that differences in public finance accounted for important differences in the two countries’ ability to promote economic growth. In this paper Sng and Moriguchi focus on the important question of size and geography as the central explanatory variable. In particular, the authors develop a context-specific model which suggests that rulers’ need to rely on agents to govern (principal-agent problem) in a pre-modern dictatorship meant that “agency problems increase with its geographical size and heterogeneity” (p5), owing to information challenges which precluded close supervision by rulers of their agents. The model predicts that the larger the polity, the higher the corruption rate, and the lower the tax rate out of fear that subjects will revolt, as expropriation reduces the ruler’s ability to provide social goods commensurate to the tax levied. The higher level of corruption also reduces rulers’ incentives to invest, and hence the provision of public goods per capita. Graft and inefficiencies mean that population and economic growth actually reduces the proportion of the economic surplus available to the ruler. As a result, the size of the polity lowers the tipping point where the negative effects of growth outweigh the positive effects. 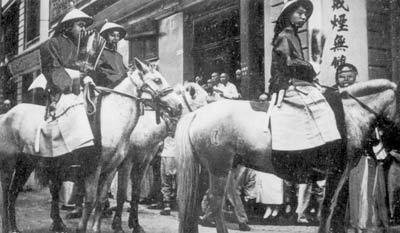 Qing military officials. Qing China had a chronic corruption problem. Sng and Moriguchi test their hypothesis against a pool of primary and secondary data, which confirms that tax rates were higher in Japan than China, averaging around 34% in Japan (rising to 50-55% in some domains, p29): more than twice of China’s level in 1700 and approximately six times by 1850. Population growth was far greater in China than Japan, where the population stagnated after 1700. Compared to the Qing, Tokugawa Japan enjoyed a higher level of public services in terms of coinage, transportation, urban management, and environmental management (forestry), and in famine relief the Qing’s strengths were cancelled out by 1850. The authors conclude that the large size of China “imposed increasingly insurmountable constraints on the regime’s capacity to collect taxes and provide essential local public goods as its economy expanded,” and that “this factor alone might have been sufficient in holding back China’s transition from stagnation to growth even in the absence of Western imperialism” (p38). In line with the existing scholarship, Sng and Moriguchi contend that Japan’s healthier tax system provided the Westernizing Meiji regime (1868-1912) with revenues to conduct far-reaching reforms. Despite its significance in global history, the comparative history of China and Japan is surprisingly overlooked. The “California school,” for instance, has focused largely on the economic “divergence” between China and the West, whereas Japanese economic historians have labored over Japan-Europe differences (Saito 2010). Sng and Moriguchi’s focus on the comparative history of China and Japan is thus relatively new. The authors join political scientist Wenkai He, whose recent book Paths toward the Modern Fiscal State also explores China’s failure to develop a modern fiscal state in the nineteenth century, in comparison with early modern England and Meiji Japan (He 2013). China’s “failure” is especially puzzling in view of the Qing’s overall success in raising revenue in the late nineteenth century (Wong 1997, 155-56). Sng and Moriguchi’s argument that a state’s ability to increase revenue is inversely affected by size is persuasive. In the absence of institutions to monitor graft, China had seldom been able to pursue rational fiscal strategies – especially at the county level – since the Tang-Song transition (Hartwell 1982, 395-96). In contrast, Japan’s decentralized polity in the early modern period bore close resemblance to Europe. Perhaps unsurprisingly, early modern Japan’s experiences of proto-industrialization and industrious revolution had clear parallels both in England and in the Netherlands. 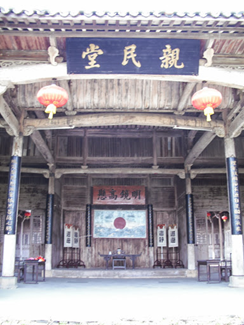 A magistrate’s office in Jiangxi province. Arguments on the Qing’s inadequacies hinge partly on the Qing’s ideological goals. What this narrative does not explain, however, is why China pursued such an inefficient mode of fiscal management. Given the challenges of graft and the fear of revolt, Sng and Moriguchi assume that it was the most rational or “optimal” course. The authors point to but dismiss lightly the question posed by Qing historians that the goals of the late imperial Confucian state might not have been compatible with “rational” state expansion. In other words, rather than fearing peasant revolt, the choice of tax rate might have to do with ideological reasons. Similarly, the idea that the Japanese state shared a “Confucian” outlook (p4) is overly simplistic, especially as consistently high levels of taxation in Tokugawa Japan undermine the idea that Tokugawa Japan was a “benevolent” state. While size might have been a key variable in China’s state “weakness,” this does not in itself explain the strengths or weaknesses of China’s overall economy. The large size of China’s internal market, for example, allowed differentiation and specialization which appear to have sustained economic growth even in the absence of an active state. This was true both in the Qing and more recently in China’s informal and private sectors since 1978. Thus there is no reason to assume that the adoption of a “modern” fiscal apparatus was a natural goal for the Qing before 1850. Similarly, by focusing on the state’s fiscal abilities to the exclusion of other factors, Sng and Moriguchi also sidestep an important Japan-centered literature that considers how similarities in economic structures between China and Japan enabled the results of Westernizing experiments in Japan after 1850 to be transferred to China. This point is important because revenues from Japan’s trade with Asia propelled Meiji Japan’s economic growth, no less than the revenues collected by Japan’s indigenous tax structures. Moreover, this was a form of self-sustaining growth built upon constant competitive pressures from below, i.e. from China which was rapidly reproducing strategies developed in Japan (ed. Sugihara 2005). Despite these criticisms, Sng and Moriguchi’s model offers clear quantitative analysis on an important aspect of a greatly understudied topic, and is recommended for anyone interested in the longue durée economic development of the two countries. Hartwell, R. 1982. “Demographic, Political, and Social Transformations of China, 750-1550,” Harvard Journal of Asiatic Studies, vol. 42, no. 2, pp. 365-442 [Dec, 1982]. He, W 2013. The Paths toward the Modern Fiscal State: Early Modern England, Meiji Japan, and Qing China. Cambridge, MA: Harvard University Press. Saito, O. 2010. “An Industrious Revolution in an East Asian Market Economy? Tokugawa Japan and Implications for the Great Divergence,” Australian Economic History Review, vol. 2010, vol. 50, issue 3, pp. 240-261. Sugihara, K. (ed.) 2005. Japan, China, and the Growth of the Asian International Economy, 1850-1949. New York: Oxford University Press. Wong, R. 1997. China Transformed: Historical Change and the Limits of European Experience. Ithaca, NY: Cornell University Press. This entry was posted in China, Economic Geography, Economic growth, Industrial Revolution, Institutions, Japan and tagged Asia, China, economic history, globalization on 2014-10-12 by joymanlee. fited from globalization, and 3) globalization exerted a negative effect on both urbanization rates and economic development in most other countries. The 1870-1913 period saw the first significant wave of trade globalization, which introduced important economic and social changes throughout the world. Despite an abundant literature on the causes of globalization at the time, there are significant methodological issues with these studies. Even more surprisingly, very little has been said about the impact of globalization in this era on the economies of countries around the world. In particular, an essential question to ask seems to be whether the increase in trade witnessed at the time was conducive to greater economic development worldwide. In a highly ambitious move, Luigi Pascali’s paper (distributed by NEP-HIS on 2014-07-13) tackles both issues at the same time, and in so doing contributes significantly to the larger debate on the causes and consequences of trade globalization. The main challenge in answering these two questions is to deal in each case with an endogeneity problem. Start with the causes of the trade boom. In their attempts to determine whether the rise in international trade could be due to transportation costs, authors have often used freight rates as a proxy for these costs. The problem with this approach is that freight rates are the actual price of transportation. 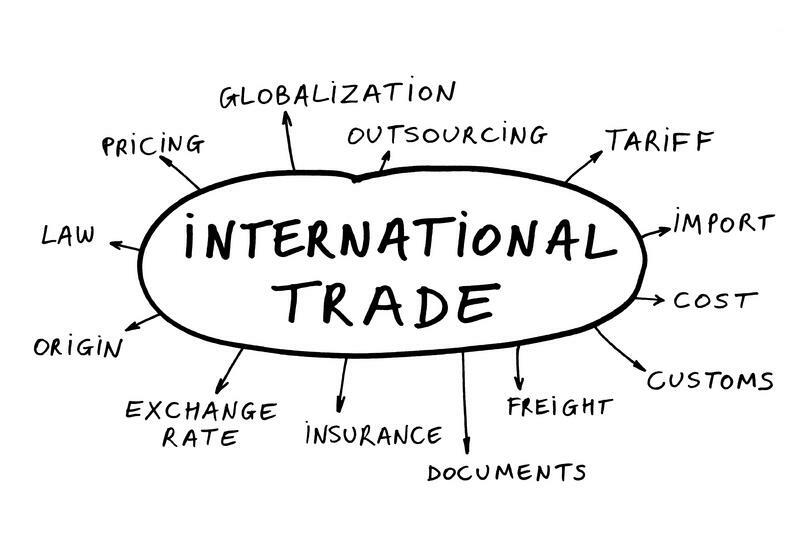 They may be affected by factors which are themselves related to the state of trade (such as demand for goods or economic activity). So causation may not actually run from freight rates to trade – but from other factors related to trade to freight rates. A similar issue arises when looking at the causal relationship (if any) from trade to economic development. As economic activity may itself have a positive impact on trade – and not just the other way around – a researcher dealing with this question may find a positive correlation between the two but will eventually be faced with a potential endogeneity problem. Pascali found a creative solution to these difficulties. He did so by making use of the fact that the steamship introduced asymmetric changes (ie. exogenous variation) in trade distances between countries. 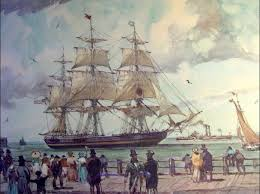 Before the steamship, shipping times by sail were mainly determined by wind patterns. 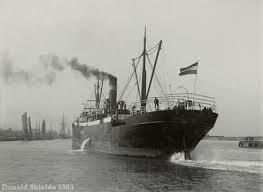 The steamship therefore introduced greater changes in shipping times between some countries than between others. Such changes were purely independent of other factors affecting trade, and only linked to such things as the direction of wind and water currents. It thus became possible for the author to examine the effect of a large change in shipping time on trade, independent of other factors linked to trade such as economic activity or market structure. Clipper ship from the 1850s. To compute such a variable, Pascali built an enormous dataset on sailing times (using such variables as velocity and direction of sea-surface winds) and calculated the likely effect of the adoption of the steamship on shipping times for 129 countries between 1850 and 1900. He also expanded available datasets to include more than 5,000 entries on imports and exports and data on urbanization for more than 5,000 different cities. What he found was that the introduction of the steamship had a much larger (positive) impact on trade than was previously thought. Pascali also found that he could use the steamship variable to search for causal links running from trade to greater income levels and development. As mentioned above he had isolated changes in shipping times including the influence of countries’ economic activity. But these changes were strongly related to trade itself. They were then used as instrumental variable in a two-stage least squares (2SLS). In other words, this variable effectively dealt with the endogeneity problem in the analysis of the effects of trade on development. His results were somewhat surprising. Using this variable as an instrument, the regression of development (urbanization, population density and per-capita GDP) on trade yielded mostly significant but negative coefficients on the explanatory variable. It therefore appears that variation in the intensity of trade between two locations does not have a large impact on development – and may even have a negative one. Even more interestingly, his findings suggest that whether an increase in trade has a positive impact on development depends on a country’s institutions: only a few countries having a better established rule of law (as measured by “constraints on the executive” – taken from Acemoglu and Johnson (2005)) benefited from an increase in international trade in terms of development. This finding can be related to relatively recent literature (such as Krugman (1991) or Crafts and Venables (2007)) according to which a reduction in trade costs is only beneficial to a certain set of countries (in particular, those specializing in manufacturing). A steamship from the 1900s. Pascali’s paper thus contributes to questioning the positive effects of lowering trade barriers, which are too often taken for granted. He carefully suggests that trade may have a differential impact depending on countries’ institutions. Perhaps some elaboration and discussion on how exactly these relationships play out would have been welcome. Nevertheless the author’s questions, creative methodology and findings all make for a fascinating read. Acemoglu, D. and S. Johnson (2005). “Unbundling institutions”. Journal of Political Economy 113(5): 949–995. Crafts, N. and A. Venables (2007). Globalization in Historical Perspective. University of Chicago Press. Krugman, P. (1991). “Increasing returns and economic geography”. Journal of Political Economy 99: 483-499. This entry was posted in Economic growth, Economic History, Globalization, Institutions, Uncategorized and tagged Acemoglu, economic history, globalization, institutions, Long run development, technology, trade, transportation costs on 2014-10-08 by harrymclary.